This workshop includes warm-ups, training and exercises intended to bring awareness to the movement habits stilts require. At the beginner level we work with proper stilt alignment and gaits, and can move into choreography and transitions to the ground and back. 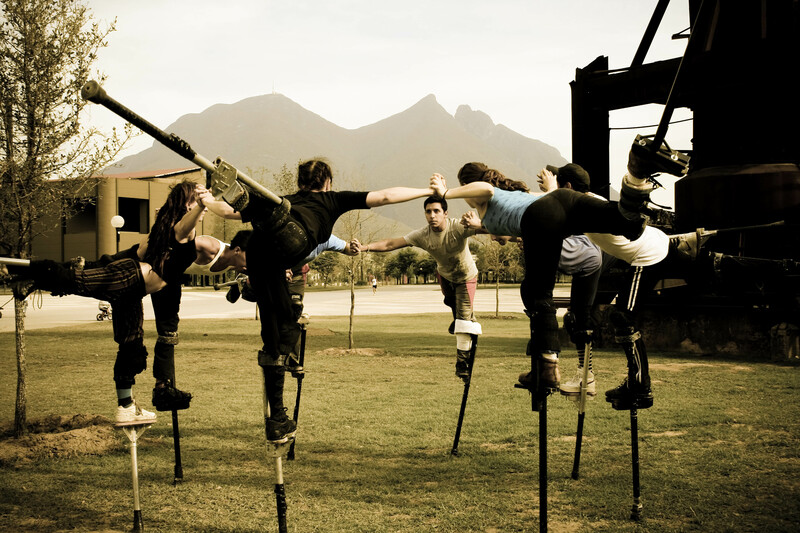 The lifts and falls we do on stilts draw directly upon release technique and Contact Improvisation principles, a partnering movement practice that increase spatial awareness and responsiveness to weight and touch. The pace and the content of this work will be tailored to our participants.